What’s new in Version 6.1? 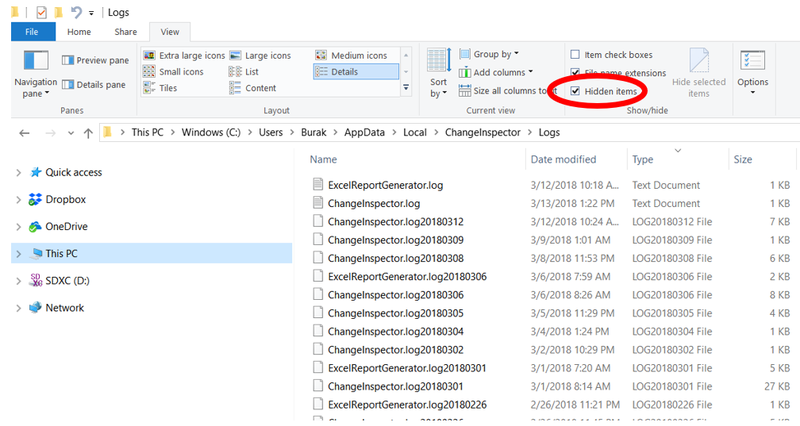 In Version 6, we added log files feature to Change Inspector. Log files help us track down error messages and software crashes. If you experience a crash or an error message, please follow these steps and email us the log files. 3) Navigate in File Explorer to the log folder. Please make sure that the “Hidden Items” check box is checked in the File Explorer View Pane. Or you can simply copy folder location from the About folder and paste in the Windows File Explorer as shown below. This will directly take you to the logs folder. 2004 – P3 e/c is renamed to P3 Engineering & Construction (Version 4.0 and 4.1) and Claim Digger was first added to the software as a java application. 2008 – Claim Digger for P3 is no longer available for sale. April, 2013 – P6 Pro and EPPM Version 8.3 added Visualizer tool. October, 2014 – P6 Release 8.4 Patch Set 1 (8.4.1) P6 Pro stand-alone now installs SQLite database manager instead of the server options. SQLite version does not support Claim Digger. April, 2016 – P6 Version 16.1.0 Schedule Comparison (Claim Digger) is available in P6 Visualizer. The Scheduler Comparison in the same location (Tools) as Claim Digger but clicking on it will launch the Visualizer program. Claim Digger has its shortcomings. Change Inspector is a schedule comparison tool that addresses these short-comings. Claim digger produces a lengthy HTML report that could be hundreds of pages long. Navigating the Claim Digger reports can be cumbersome and time consuming. The scheduler has to scroll up and down through hundreds of pages. 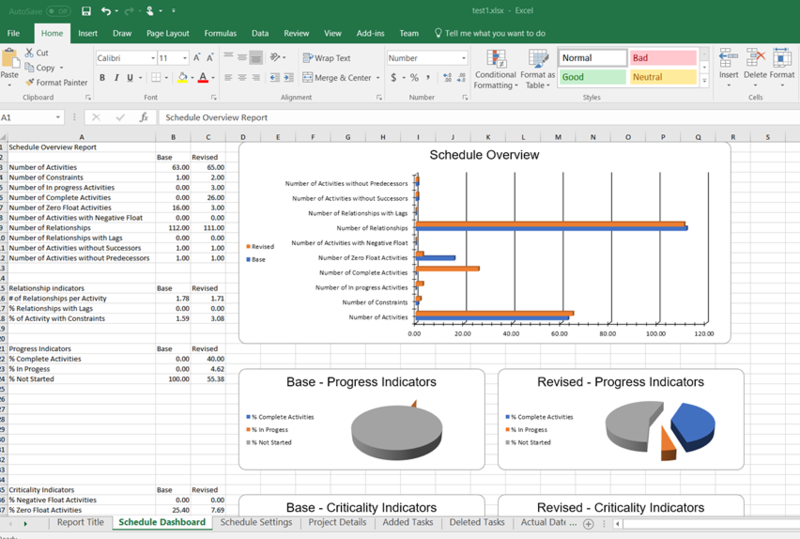 On the other hand, Change Inspector creates reports in Excel format organized by worksheets. Not only that it is easier to review and navigate, it is also easier to create and format custom reports. Claim Digger reports are difficult to use without clean up and reformatting. The schedule review and documentation of the changes require a streamlined approach. Change Inspector creates streamlined reports. For example, duration changes and description changes should be summarized in one report because both a description and original duration change may indicate an activity scope change. On the other hand, Claim Digger shows this information in 2 separate sections. Furthermore, the scheduler cannot see the float values on the same report. As a result, in the Claim Digger report, it is not possible to tell whether the duration changes result in negative float. It is important to see the added activities with their duration and float values on one report so that the scheduler can easily check if the activities were added to the critical path. Claim Digger only shows the added activities. It is not possible to see the effects of the added activities in one streamlined report. 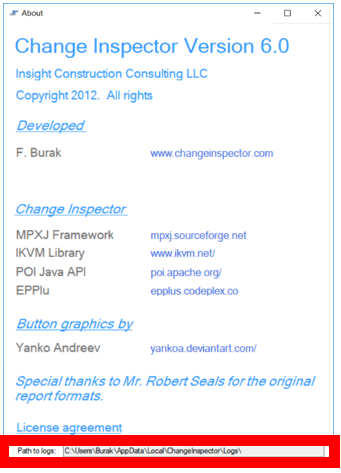 Change Inspector produces additional reports such project dashboard. Change Inspector works with XER files or can directly connect to the Primavera database. Change Inspector does not need to have P6 installed. To run Claim Digger, users need to have a P6 license. Claim Digger does not compare XER files. Change Inspector can compare XER files. As an added bonus, Change Inspector can also compare MS Project files. These are only a few examples of Change Inspector’s benefits. You can download a 30 day trial version of Change Inspector ( http://www.changeinspector.com/download.html ) and experience the benefits firsthand. Change Inspector saves you time and money.